VIENNA (Reuters) – OPEC agreed on Wednesday its first oil output cuts since 2008 after Saudi Arabia accepted “a big hit” on its production and dropped its demand on arch-rival Iran to slash output. 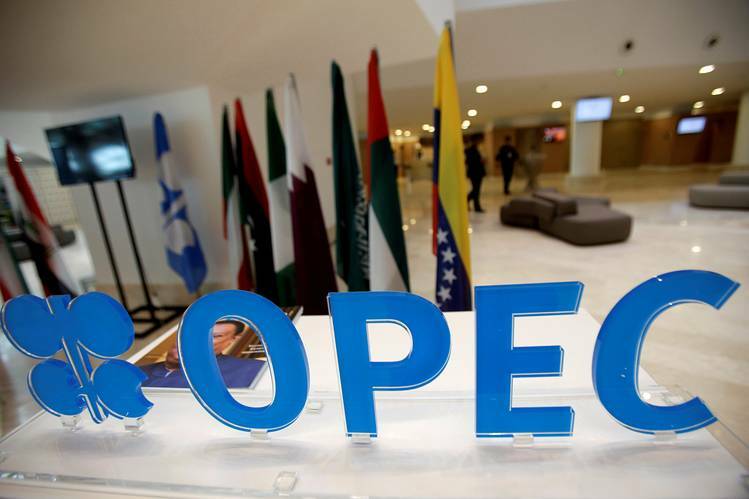 Non-OPEC Russia will also join output reductions for the first time in 15 years to help the Organization of the Petroleum Exporting Countries prop up oil prices. Brent crude jumped over 9 percent to more than $50 a barrel as Riyadh reached a compromise with Iran and after fast-growing producer Iraq also agreed to curtail its booming output. “OPEC has proved to the sceptics that it is not dead. The move will speed up market rebalancing and erosion of the global oil glut,” said OPEC watcher Amrita Sen from consultancy Energy Aspects. Iran and Russia are effectively fighting two proxy wars against Saudi Arabia, in Yemen and Syria, and many sceptics had said the countries would struggle to find a compromise amid frosty political relations. “I think it is a good day for the oil markets, it is a good day for the industry and … it should be a good day for the global economy. I think it will be a boost to global economic growth,” he told reporters after the decision. Saudi Arabia will take the lion’s share of cuts by reducing output by almost 0.5 million bpd to 10.06 million bpd. Its Gulf OPEC allies – the United Arab Emirates, Kuwait and Qatar – would cut by a total 0.3 million bpd. Iraq, which had insisted on higher output quotas to fund its fight against Islamic State militants, unexpectedly agreed to reduce production – by 0.2 million bpd. Iran was allowed to boost production slightly from its October level – a major victory for Tehran, which has long argued it needs to regain market share lost under Western sanctions. Clashes between Saudi Arabia and Iran dominated many previous OPEC meetings. “If you get this deal done, it would be huge. You remove a lot of oil from the market and you get the Russian participation,” said veteran OPEC watcher and founder of Pira consultancy Gary Ross. He said oil could rise to $55 per barrel. Falih had long insisted OPEC would do an output-limiting deal only if non-OPEC producers contributed. Russia, which had long resisted cutting output, pushed its production to new record highs in recent months. “Russia will gradually cut output in the first half of 2017 by up to 300,000 barrels per day, on a tight schedule as technical capabilities allow,” Russian Energy Minister Alexander Novak told a briefing in Moscow. A combined output reduction of 1.8 million bpd by OPEC and non-OPEC represents almost 2 percent of global output and would help the market clear a stocks overhang, which had sent prices crashing from levels as high as $115 a barrel seen in mid-2014. OPEC suspended Indonesia’s membership on Wednesday since the country, a net importer, could not cut output, Qatar said. The move will not affect OPEC’s overall reduction as Indonesia’s share of cuts will be redistributed among other members.